Wine tasting, cinema, French breakfasts, board games nights… Rendez-vous français offers French classes, but also cultural workshops and evenings. Our first events will be organised soon! “En France”: an intensive preparation for your holidays! Because revising a foreign language on your own can be quite challenging, we will be running an Intensive French course, just a few days before the French exam. 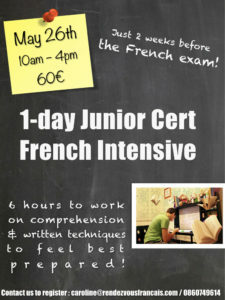 Our Intensive course will focus on the 3 aspects of the exam: listening, reading and writing, as well as common grammar mistakes, vocabulary, methods and tips... Everything you need to feel best prepared, confident, and get top grades in French! Maximum 8 students, contact us soon to enrol! 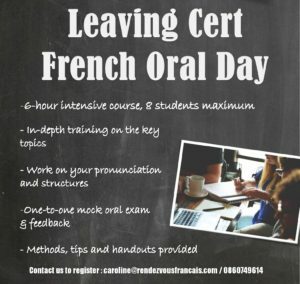 Because revising a foreign language on your own can be quite challenging, we will be running an Intensive French course, just a few days before the French exam. 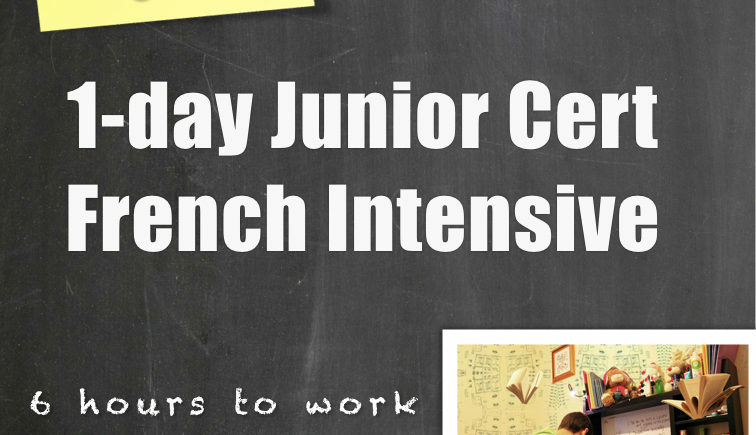 Our Intensive course will focus on writing and (listening and reading) comprehension: grammar, structures, vocabulary, methods and tips... Everything you need to feel best prepared, confident, and get top grades in French! 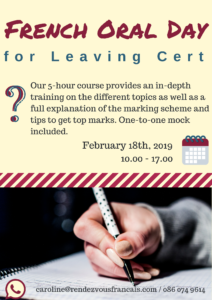 Spaces are very limited, contact us soon to enrol! Come and say "bonjour"! We'll be in the classroom all afternoon to meet with you, show you our classroom and answer all your questions!